The 2020 Kia Soul is here and it has an awesome new design. You should come to George Gee Kia of Coeur d'Alene to see it, home of the Lifetime Power-train Warranty. The redesigned Soul has the great fun drive and versatility you love with a stylish new look; pictures do not do it justice. This EX 's features include fog lights, navigation, backup camera, heated seats, lane departure and blind spot detection, duel zone A/C, and more. George Gee Cadillac Kia's mission is to ensure all our customers have a positive auto buying experience and are completely satisfied with their new vehicle. Thanks for checking out our vehicle online. Give us a call at (208) 667-7416 to set up an appointment or just come visit us. - Free Lifetime Warranty is valid only on New and Used Vehicles with less than 100,000 miles and 5 Years Old or Newer. Valid exclusively at George Gee Cadillac Gee Coeur d'Alene See dealer for full details and exclusions. The 2020 Kia Soul is here and it has an awesome new design. 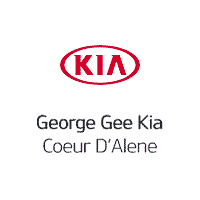 You should come to George Gee Kia of Coeur d'Alene to see it, home of the Lifetime Power-train Warranty. The redesigned Soul has the great fun drive and versatility you love with a stylish new look; pictures do not do it justice. This GT's features include fog lights, navigation, backup camera, sunroof, leather seats, heated seats and steering wheel, duel zone A/C, and more. George Gee Cadillac Kia's mission is to ensure all our customers have a positive auto buying experience and are completely satisfied with their new vehicle. Thanks for checking out our vehicle online. Give us a call at (208) 667-7416 to set up an appointment or just come visit us. - Free Lifetime Warranty is valid only on New and Used Vehicles with less than 100,000 miles and 5 Years Old or Newer. Valid exclusively at George Gee Cadillac Gee Coeur d'Alene See dealer for full details and exclusions.